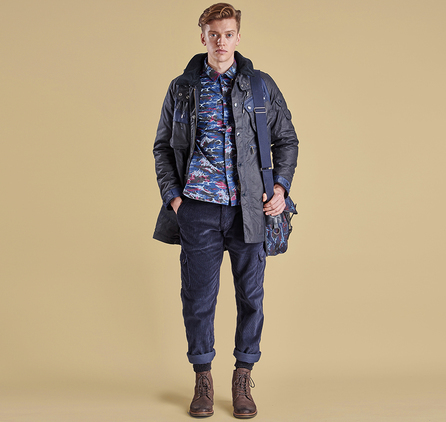 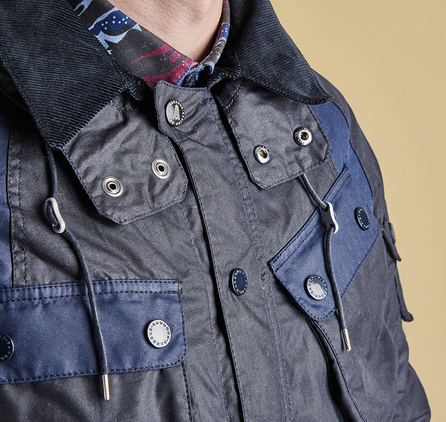 The Bleakazuma is an intricately designed men's wax jacket from Barbour's collaboration with Japanese brand White Mountaineering. 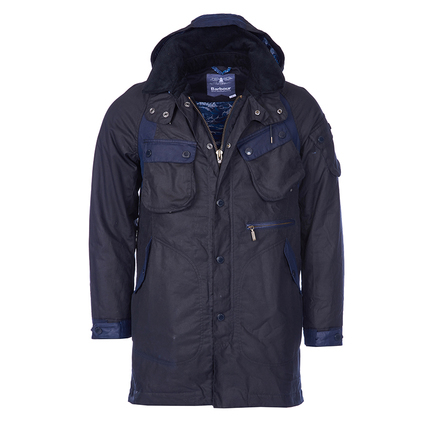 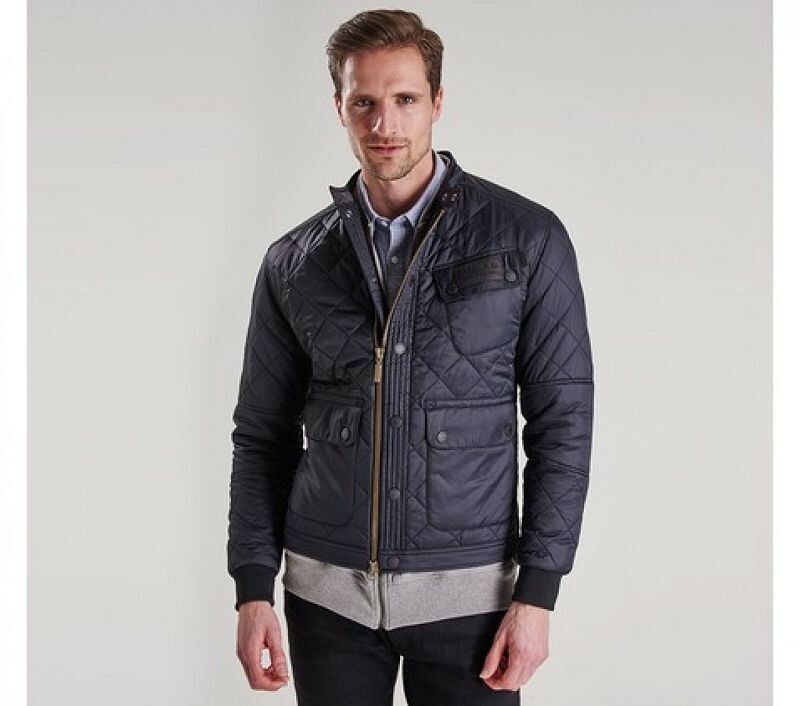 This stylish jacket is made with a navy blue Sylkoil waxed cotton outer and features tonal waxed cotton patches to the pocket flaps, hood and shoulders. 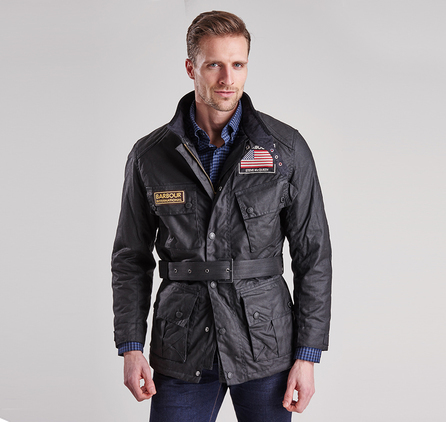 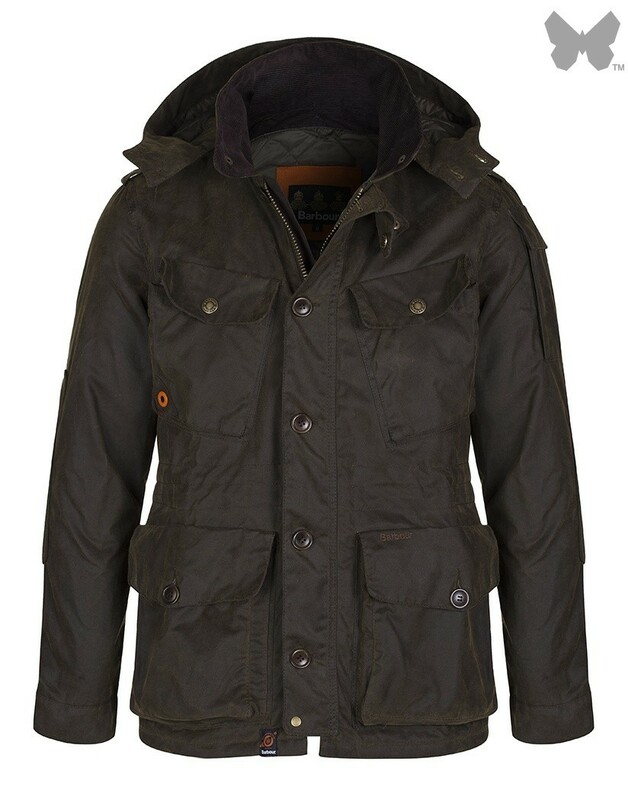 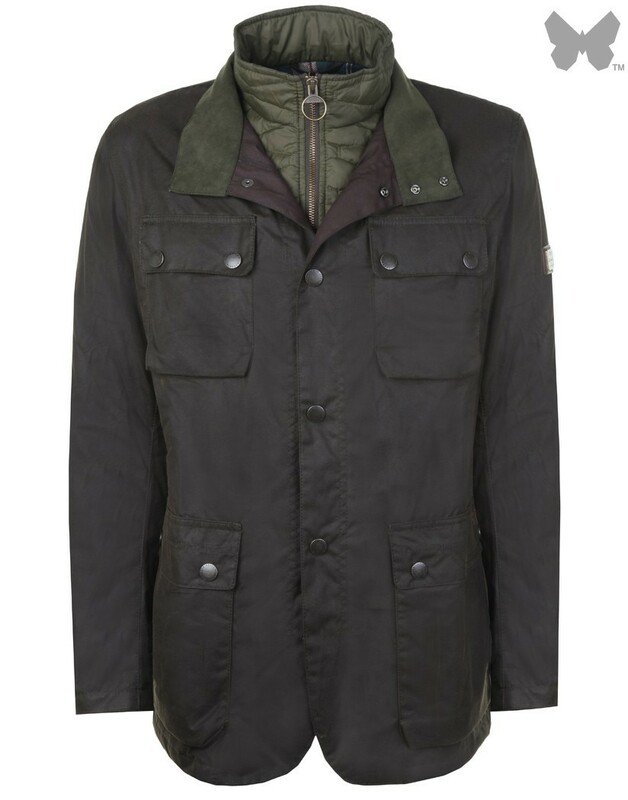 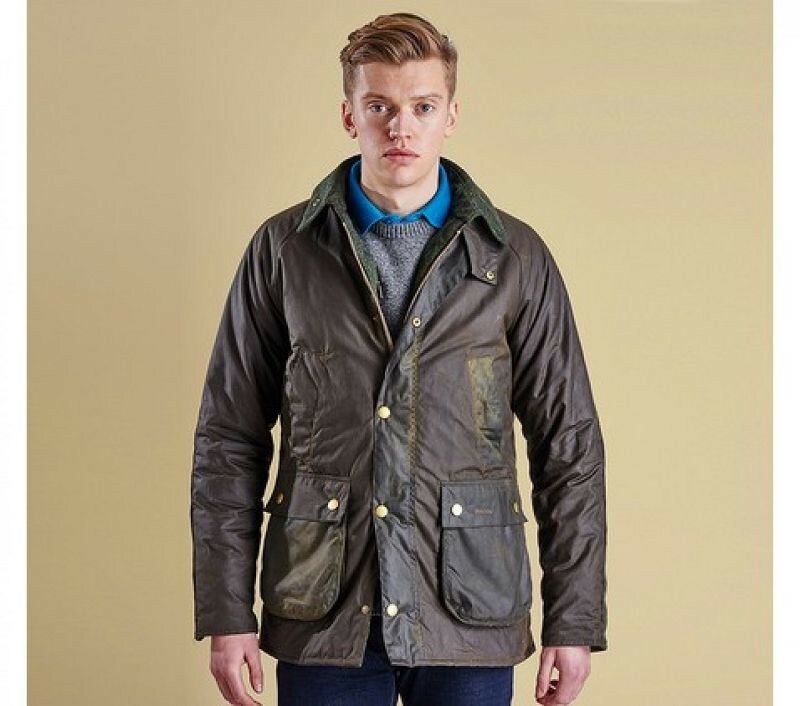 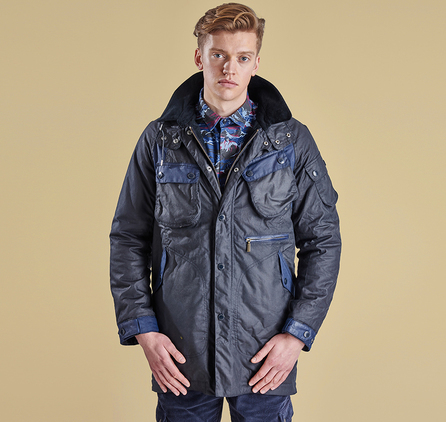 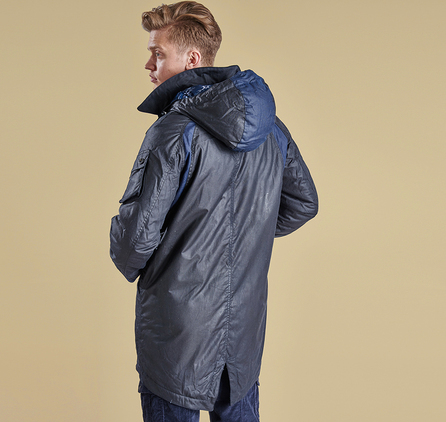 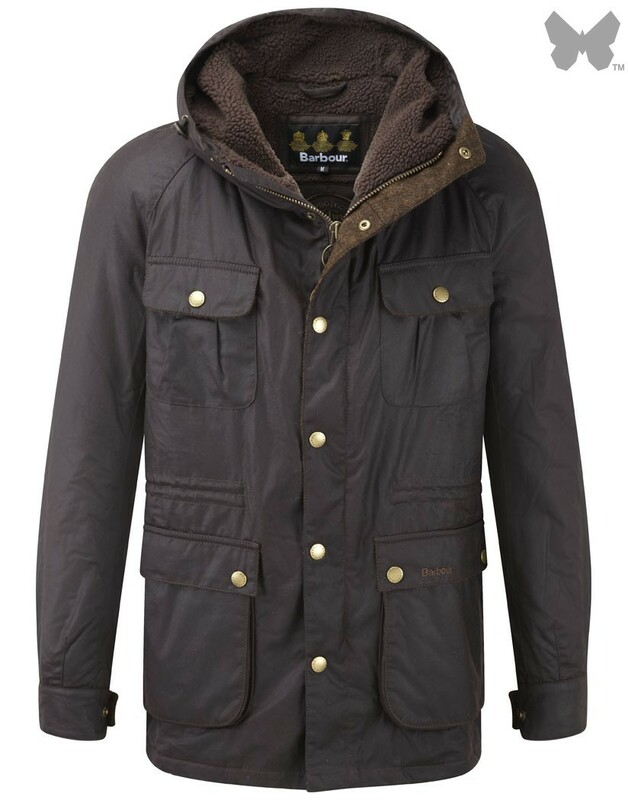 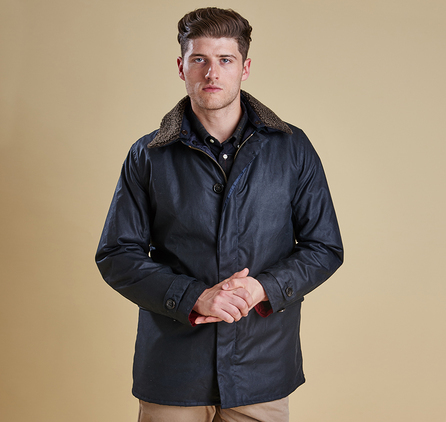 A two-way zip and glossy studs fasten through to Barbour's signature corduroy collar, which is also studded to take the practical detachable hood. 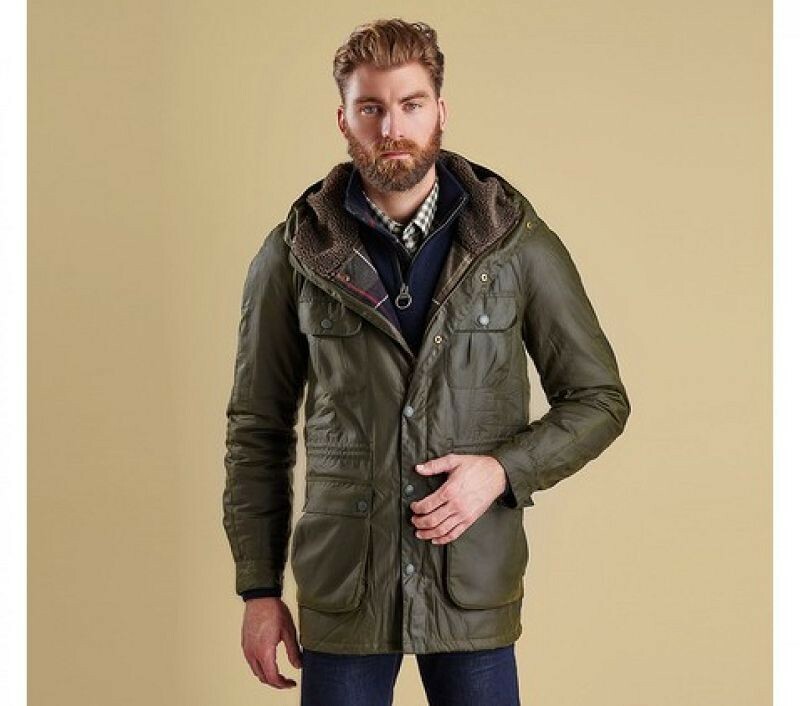 Touches of leather to the cuff straps and zipped pocket add extra textural contrast, while multiple outer pockets and a fishtail hem create a fashionable parka look. 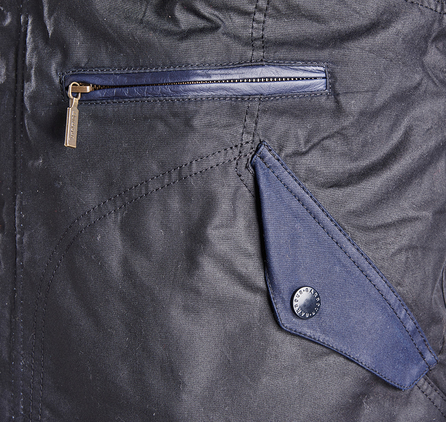 Inside, a warm wadded lining carries the collection's exclusive Japanese Tempest print.